Looking for a last minute easy Valentine’s Day dessert recipe? This strawberry crinkle cookies recipe is so easy, delicious, and festive for a Valentine’s snack! 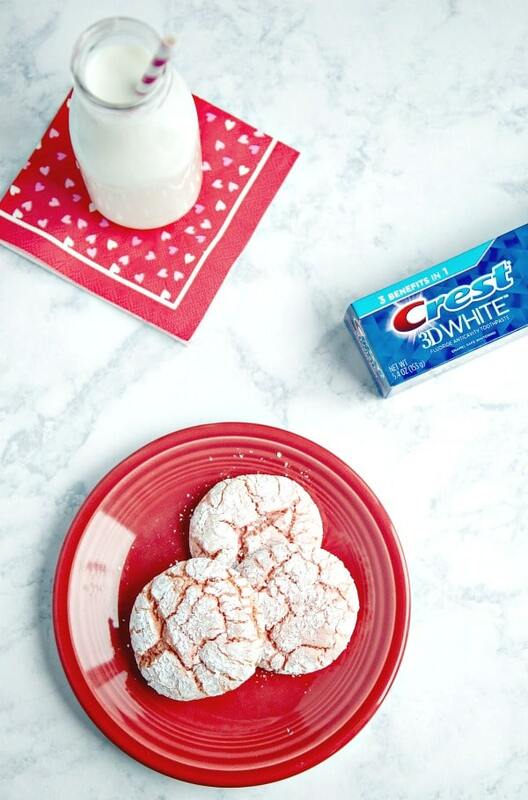 These pink crinkle cookies for Valentine’s Day were sponsored by Crest. Valentine’s Day is just around the corner. 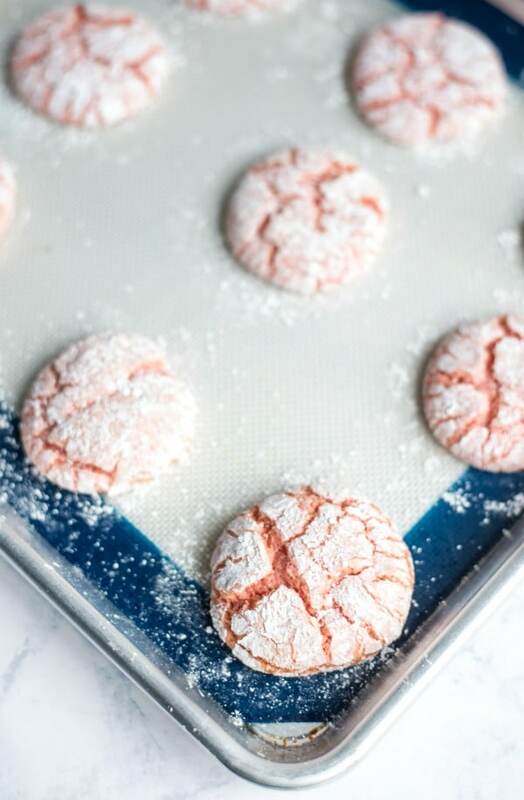 If you’ve been putting off researching desserts and ways to celebrate, then this strawberry crinkle cookies recipe is for you! Whether you’ve procrastinated looking for recipes or are looking for an easy dessert to be festive these crinkle cookies are for you. They’re super simple and use a cake box as the base but make for such a fun presentation. And who doesn’t love powdered sugar?! My girls are always disappointed when I have the flour out for a recipe and find out its not powdered sugar as they’d hoped. Because powdered sugar is always a good idea. I’m not an overly paranoid mom about sweets by any stretch. But I want my kids to have good teeth. And my husband and I too. So while we enjoy sweets, we have to make sure we take care of our teeth too. Our family rule is to make sure we brush after having a lot of sweets. Crest 3D White Radiant Mint Toothpaste from Sam’s Club not only ensures our teeth avoid cavities but help whiten them as well. We all know how much coffee, red wine, and other sweet and/or staining treats. 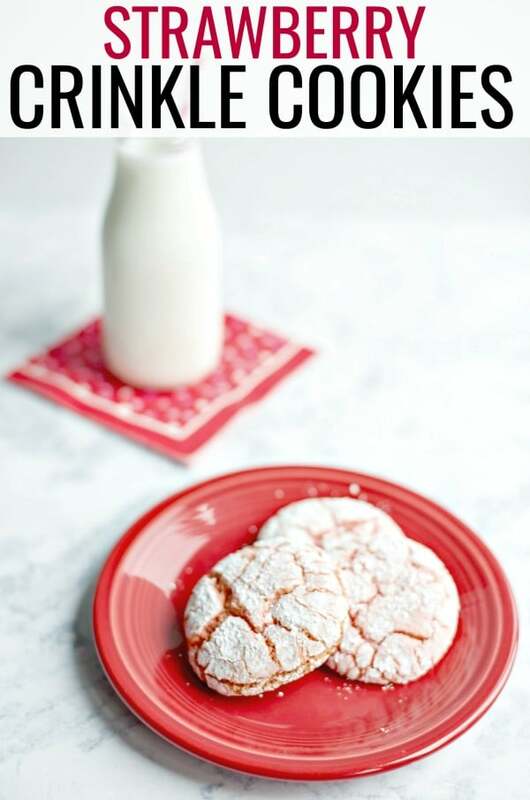 If you’re going to indulge in a sweet treat for Valentine’s Day, make sure you try this fun strawberry crinkle cookies recipe! Crinkle cookies are cookies made from boxed cake mix and rolled in a powdered sugar/corn starch mixture. Print out the recipe card below so you’re ready to make these crinkle cookies! Looking for a last minute easy Valentine's Day dessert recipe? 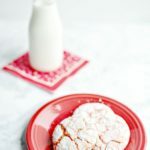 This strawberry crinkle cookies recipe is so easy, delicious, and festive for a Valentine's snack! Mix the powdered sugar and cornstarch together in a small bowl and set aside. Mix all other ingredients together until well blended. Using a medium cookie scoop, make dough balls and coat in the powdered sugar mix. Place on a lined or greased baking sheet. Bake for 10-12 minutes or until set. Cook for less time if you want a chewier cookie. Cool for 2 minutes before transferring to a wire rack. Make sure you pin this strawberry crinkle cookies recipe for later! I love crinkle cookies. They’re so easy but they come out looking fun and festive! These are perfect for Valentine’s and SO tasty! What a fun and tasty alternative to the chocolate crinkles I grew up with and they’re perfect for Valentine’s Day, too! Love the texture of crinkle cookies! These look perfect for tomorrow. Easy to make the same day, too! I love crinkle cookies, thanks for sharing this yummy recipe! We love crinkle cookies – such a great looking cookie to give to friends. Perfect for Valentine’s Day! I haven’t made crinkle cookies in a long time. What a sweet treat! You had me a “crinkle”! We love cookies and strawberry is a favorite flavor too! Just right for Valentine’s Day! 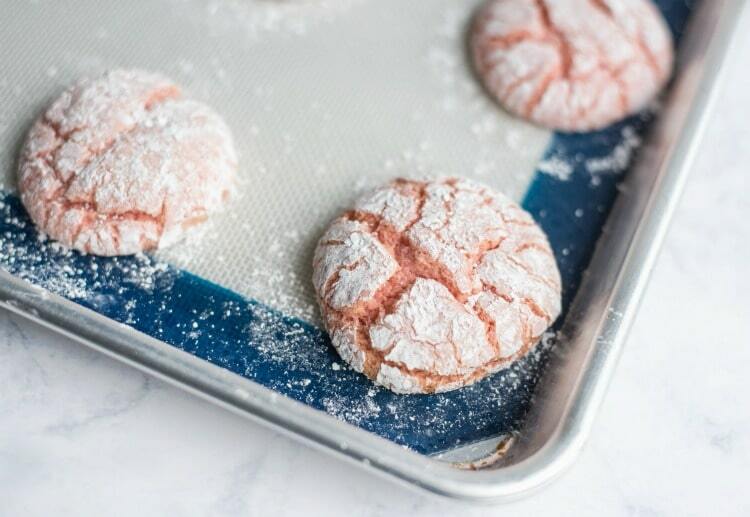 I can’t wait to make these strawberry crinkle cookies – they look incredible! Strawberry cake and now strawberry cookies on two different blogs in a row. 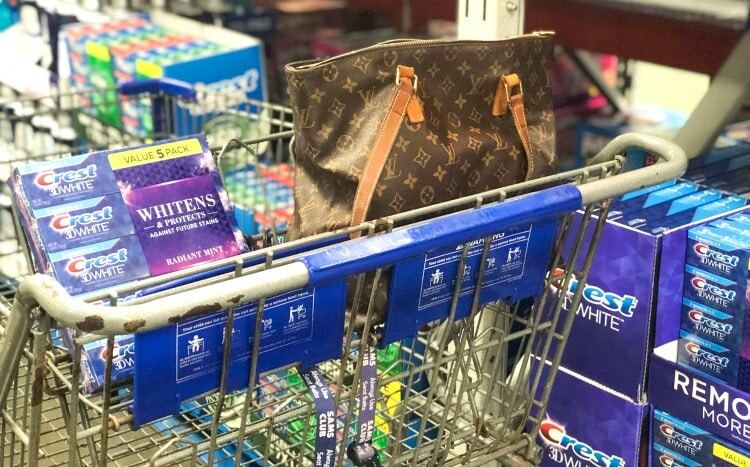 Now I know what needs to go on my shopping list. . .